With only a month or less left of summer, it’s time to think about getting ready for school. When thinking about getting back to school, ask yourself how you can optimize your child’s experience at school. Many issues from the last school year can be addressed in a preventive way. 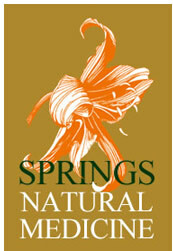 At Springs Natural Medicine we look at ways to naturally make learning easier, ways to treat ADD/ADHD, anxiety and depression without medications and a program to boost immune health to cut down on sick days during the cold and flu season.